Some time ago I was looking for an algorithms that can generate a ‘map like’ like pictures – e.g. tessellation of a plane into set of more or less random polygons. 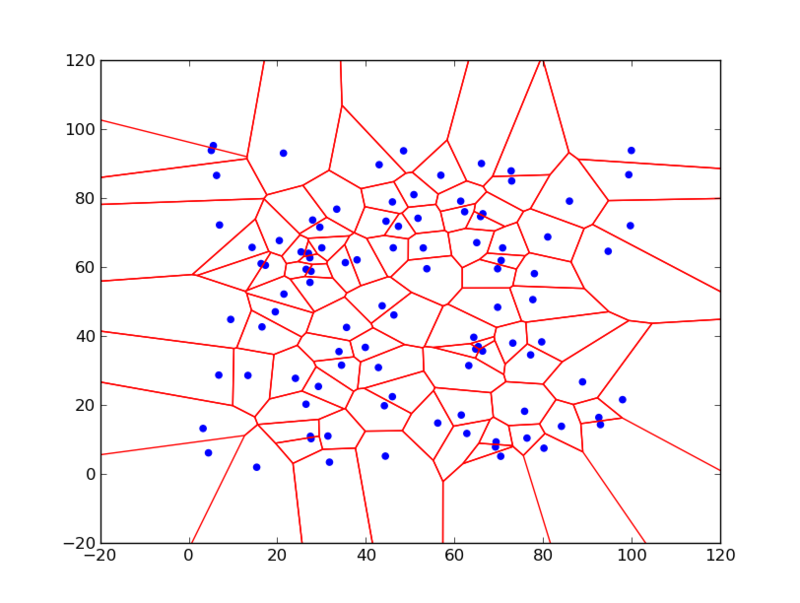 I found Voronoi diagrams – which give very nice pictures and have many useful properties.